Uncle Bob Anderson OAM is a well-respected Queensland unionist and Aboriginal Elder renowned for furthering and protecting the rights of workers, and maintaining and promoting the reconciliation process. Uncle Bob served as a union delegate and state organiser for the Building Workers Industrial Union and has been recognised as an honorary member of the Construction, Forestry, Mining and Energy Union. Uncle Bob also has a long and distinguished history of community service for Aboriginal and Torres Strait Islander people. He was a member of various councils and served as chairperson of several organisations. 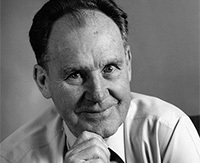 The late Professor Joe Baker AO OBE was a marine pharmacology pioneer and world authority in natural resource management. 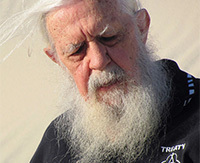 He made significant impacts in the development of sustainable resource management for waterways and land in Queensland and at an international level. Joe played rugby league for Brisbane and Queensland, and was a founding board member of the Queensland Academy of Sport where he assisted in the development of sports science and sports medicine services. The late Diane Cilento was one of the first Queensland actresses to establish an international career in film, television and theatre. Her career began at 17 when she was awarded a scholarship to the Royal Academy of Dramatic Art in London. 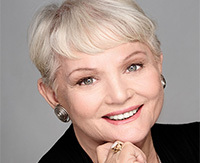 Starring in a long series of films, Diane was nominated for an Academy Award as Best Supporting Actress for the film Tom Jones and received the New York Critic’s Award playing Helen of Troy on Broadway. She performed many classic roles on television and on stage and had a distinguished career as a director and writer. 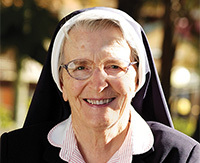 Sister Angela Mary Doyle AO is a humble community worker serving more than 60 years as a school teacher, registered nurse and hospital administrator. Sister Angela Mary is a member of the Order of the Sisters of Mercy, which founded the Mater hospitals in 1906, and was Sister Administrator of the three Mater public hospitals for 21 years before being appointed Senior Director of Health Services at the Mater. She served on the Council of Griffith University and the Queensland Health department’s committee on AIDS. During her years at the Mater she has worked tirelessly to provide the quality care and welfare for which the Mater hospitals are known. The late Ted Smout OAM was one of Queensland’s most celebrated Anzac heroes. 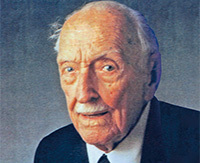 He was Australia’s oldest digger, recognised by many generations for his valuable contribution to Queensland. A World War I veteran, Ted was honoured with the highest honour bestowed by the French Government, Legion d’Honneur, and numerous other medals including the Medal of the Order of Australia.